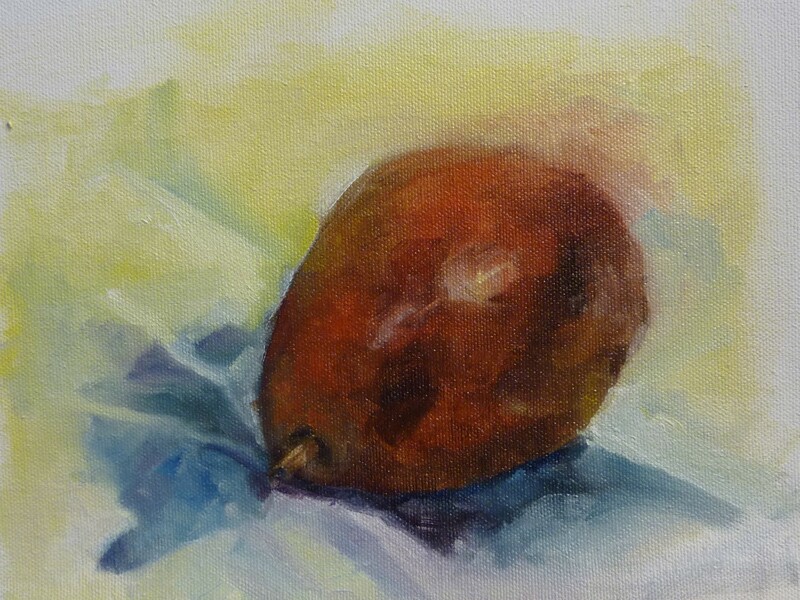 After viewing Robert Liberace’s DVD on “The Alla Prima Portrait”, I painted this oil sketch of a pear basically in the same manner. Paintings with touches of paint, almost like sculpting instead of slapping wide area of paint. So here I applied touches of reds, oranges, dark blues to enhance the three dimensional of the red pear. I love it.